The Chief Executive Officer of the Negotiated Benefits Trust Company Limited (NBC Ghana Trust), a firm doing consultancy in employee benefits in Africa, Mr William Yeboah, has urged stakeholders in the pension industry to not shift too much focus onto the tier-three band of the pension scheme. He explained that focusing more on the tier-three was affecting developments in the pension industry. He said the tier-two rung of the pension scheme established by the National Pensions Act 2008 (Act 766), also contained several benefits which could help in the development of the country. In an interview with the Daily Graphic, Mr Asiedu explained that the tier-two had the same pension contributions of 8.5 per cent which had been set aside to be managed by Social Security and National Insurance Trust (SSNIT) and Private and Approved Trustees five per cent. He said the new pension scheme enabled accumulation of capital for the long-term economic development of the country. The new scheme, he said, also provided freedom to all contributors on how they wanted their contributions handled prior to their retirement. Mr Asiedu said the NBC Ghana Trust provided every contributor with a user name and a password with which one could check his or her accounts online. “This enables contributors to be close to their retirement fund and can monitor its growth as much as possible,” he said. 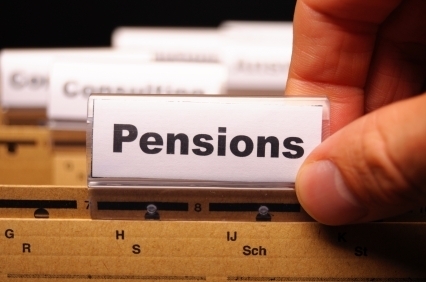 He said a contributor to the pension scheme would be paid his or her full lump sum benefit on attainment of the retirement age or according to conditions specified by Act 766, one month after receipt of last contributions. Mr Asiedu lauded Ghana for introducing the new pension scheme and said the strategy the country had adopted was of good and substantial quality. He said monitoring of investment returns was the best and, therefore, called for clear rules in the pension industry and for dealing with pension fund managers in order to weed out cheats. He said the company, which is an affiliate of NBC South Africa, provides a wide range of products and services, including Employee Benefits Advisory Services, Actuarial and Fund Administration services to over 120 registered pension and provident fund schemes, representing the retirement fund savings of more than 350,000 contributors. Previous articleBeing Business Minded (Part 2).